I must confess that only a few months ago I was amazed to learn that the simple act of sitting can be damaging to my health. Okay, you have to be sitting for a while, but not all day. This is something you need to know more about. One observer called sitting the new smoking and I actually used that as a header on a blog post. You can decide for yourself whether that is inflammatory or not. When the New York Times gets into the discussion, I think it’s time to find out more. I recently read an article about this and brought a used exerbike…I make sure to break at least on the hour and spend a few minutes on it…thanks for the post. Thanks for your comment. 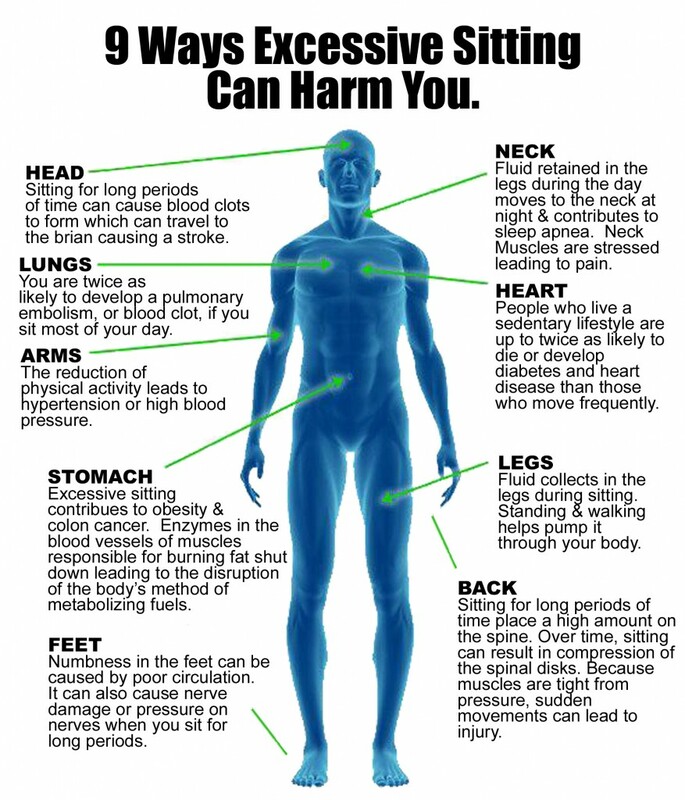 I am amazed by the damage that sitting is responsible for. Good job picking up the bike for exercise! I hear that as we get older sitting for too long can cause embolisms. Very important article and very well written. It’s scary to think something that we do an awful lot for a lot of our lives can be so dangerous! Thanks very much. This prolonged sitting situation is amazing. As a bookkeeper for multiple clients I relate to this more than I’d like to! I’ve been working on a change and your article was a great reminder! Glad I could help. I have the Apple Watch and it reminds me every hour to stand up. You might try some kind of reminder to get you up out of your seat every hour. Good luck! Interesting idea abt having alarm every hour to remind you to get up and walk around. My elderly mom does marching in step during ads on TV. Wonderful! Your mom is on the ball! Thanks for sharing that. You could use your brain without having a reminder. This would help stave off alzheimers ( I don’t quite believe this, it a a recognised disease with no known cure) Sorry about the spelling my brain is not what it used to be. Geraldine – Thanks very much for your kind words. I am happy that you benefited from something I wrote. Thanks for the reblog. BTW, you might check into the ‘reblog’ button on top of the page. I think it is easier for you. I know. I was amazed when I first learned it. You really need to remember to move. Thanks for your kind words and also for sharing that. Lots of very useful facts in your piece. Too bad I can’t reblog it. Thank you too Tony. It appears we have much in common when it comes to the world of health and fitness :). Bookmarked your page! Hopefully I will start doing those stretches in my daily routine because my job is done in front of a computer… sitting! Thanks for sharing. Good luck with your moving a bit. Thanks for sharing your thoughts. Much appreciated. I have fibromyalgia and I often have a great deal of pain in me leg o the other. Standing or walking is incredibly painful during these times. The only relief I can get is to sit with legs elevated. Even then the pain causes tears until it subsides. I would like to exercise and walk more as I also st to long at times. Medications don’t help. Any helpful advice would be appreciated. Thanks for sharing that. As I am a journalist and not a medical practicioner, I hesitate to offer suggestions outside of checking with your own doctor. I would hope he/she would be able to give you positive input. Sorry I couldn’t help. Sometimes other readers will chime in with ideas. Good luck! Thanks for the post reminder Tony – I gotta get that fitbit and set it to buzz me every hour so I get up. 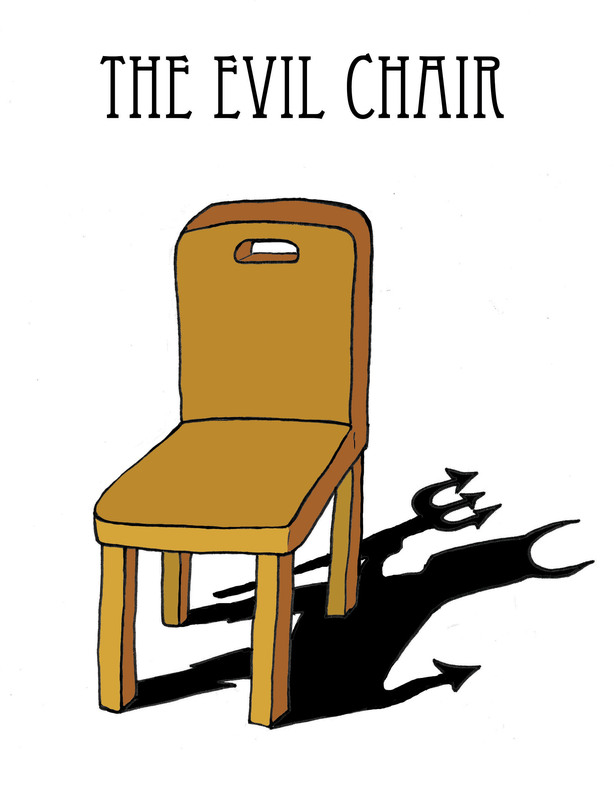 When I started researching more about health, I was surprised to find out about that evil chair, but it does make a lot of sense. I know that growing up while my parent didn’t exercise, life itself required more activity – people cooked from scratch (no microwaves) and that itself meant more activity. Fast food wasn’t around much (remember Wetsons’ – yum) and with one car per family, well, everyone walked everywhere – school for us was a mile each way – so at least we got that in. Thank you again Tony – great post and great reminder! Thanks, Joan. Always happy to help. I am 52. I have been experiencing extreme leg pain when standing up. It’s gradually been getting worse for the last 3 years. Almost to the point of not being able to stand at all for the first few seconds. After being up and walking around or just standing the pain almost completely goes away. I have been searching for an answer as to why? Even been seeing a doctor, will be getting back ex rays Monday. I believe your blog may have helped me find the culprit. Thank you. Thanks very much for sharing that, Wendy. Good luck with your diagnosis! Very nice thank you so much.